The former president once again did not attend the meeting. 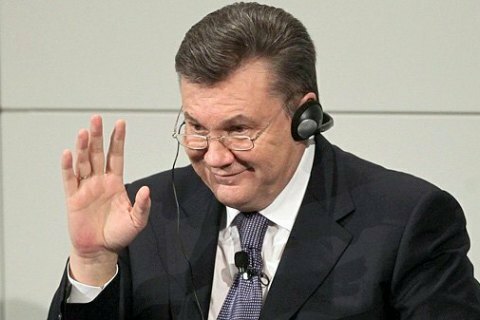 Kyiv's Obolon District Court on Thursday, 29 June resumed consideration of the criminal proceedings of high treason by former Ukrainian President Viktor Yanukovych. The court ignored the challenge of Yanukovych so the prosecution requested to begin the procedure of the in-absentia trial. Yanukovych is charged od committing an act of state treason on 1 March, 2014, when he staying on the territory of the Russian Federation, addressed with a written application to the president of the Russian Federation with a request to use Russian troops on the territory of Ukraine. Subsequently, this led to the loss of Crimea and objects of state property worth more than 1,080 trillion hryvnia by Ukraine. The former president is accused of state treason (Part 1, Article 111 of the Criminal Code), complicity in separatism (Part 5, Article 27, part 3 of Article 110 of the Criminal Code) and complicity in the conduct of an aggressive war (Part 5, Article 27, 2 Article 437 of the Criminal Code). The prosecution will ask for a life sentence for Yanukovych.